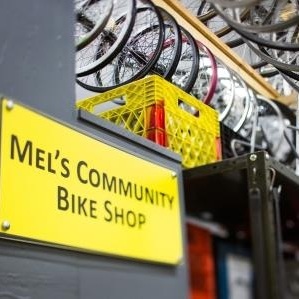 Buy a refurbished bike, used parts, repair your bike using our tools during our DIY hours, buy and build up one of our “as is” bikes or take an adult bike repair class. Your purchase supports our youth programs. Need to use tools? Want to figure out how to adjust your brakes? Already know how to do everything, but can’t fit a repair stand in your apartment? You’re in luck! 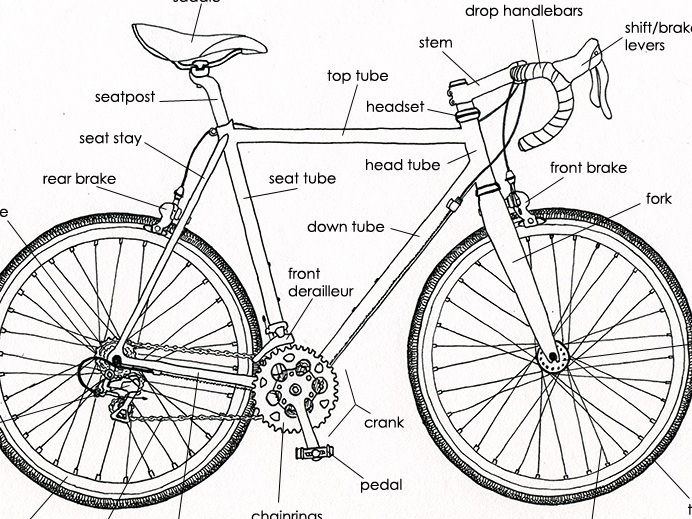 Our DIY community workshop, also known as Bike Church, has everything you need to get the job done. Our refurbished bikes are priced from $250, rehabbed by a professional mechanic, have a 60-day warranty — and your purchase supports our youth programs. We also sell repair parts (like tire levers, patch kits, inner tubes, and chains) and bike accessories (like lights, locks, and helmets). We do not offer bike repair services but you can fix your own bike during our DIY Bike Church hours. Don't want to leave your house? We put some of our parts on our Ebay store. 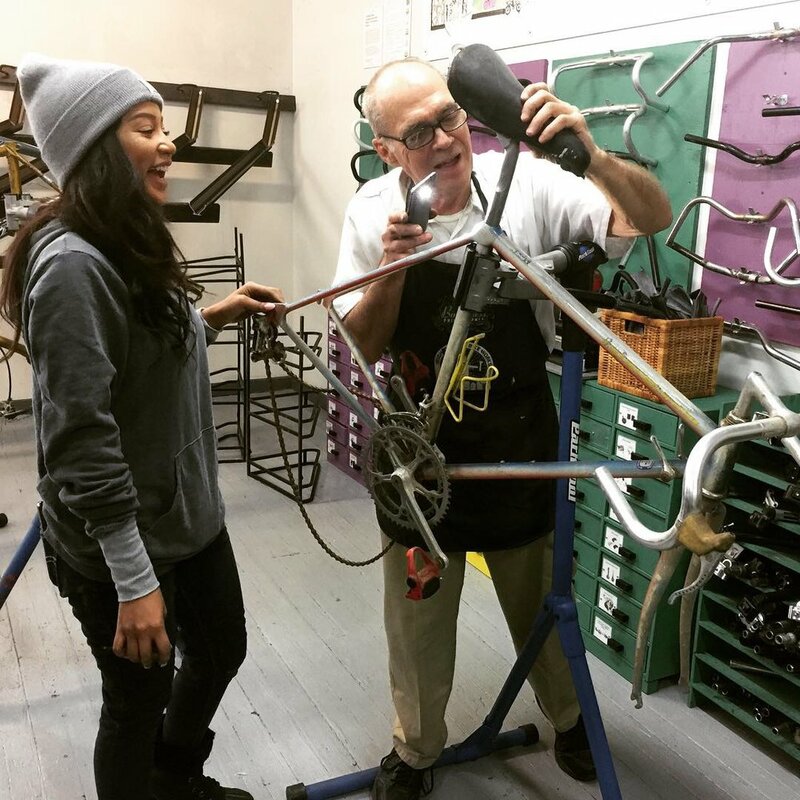 Our Basic Bicycle Repair course for adults is a great way to begin learning how to repair and maintain your bike yourself, or to brush up on rusty repair skills. The class meets weekly for a month. Lessons typically include: flat repair, parts of the bike and bike fit, care and feeding of your brakes, shifting, and an introduction to overhauling bearings. More advanced procedures can be covered on request. Participants are encouraged to bring their own bikes and friends. We make our professional bike shop accessible to the public. Imagine you are able enter the repair zone of your favorite bike shop and get work to on your bike with the advice and support of the shop mechanics. That's what Bike Church is all about. We have specialty bike tools and repair stands available for use. We sell used bikes, parts and some new items as well (tubes, chains etc.). All sales support NBW's youth programs. What if I don't know how to fix my bike? You're in luck! There are volunteers available to help you figure out what is broken and how to fix it. Don't be afraid to ask a volunteer for help - that's exactly why they are there! Bike Church is a donation-based program. We don't charge an hourly rate for a repair stand or for tool use. Instead, we ask Bike Church patrons to pay what they can and do a quick chore before they leave. It has been working for nearly 20 years. No, just be sure to come during our Bike Church hours listed above. Can I buy a bike at Bike Church? Yes, our refurbished bike rack is available for the public to test ride used bikes. We also sell bikes in "as-is" condition. These bikes we usually need repair work before they can be ridden. You can use our shop to make those final repairs. Or, if you are strapped for time, we encourage you to take it to another local bike shop for repairs. At present, we are not able to do repair work for individuals. Wednesday Bike Church is limited to those identifying as women or transgender, which includes all gender identities beyond cisgender, i.e. transgender, genderqueer, nonbinary, genderfluid, and so on. We hold this space for women/trans/queer people in an effort to make cycling more accessible to women/trans/queer folks who may find all gender shops unwelcoming or unsafe. Cost: Registration fee is $80. Register by clicking on one of the upcoming classes listed below. We do need at least five participants to hold classes so tell your friends and help support our youth programs!